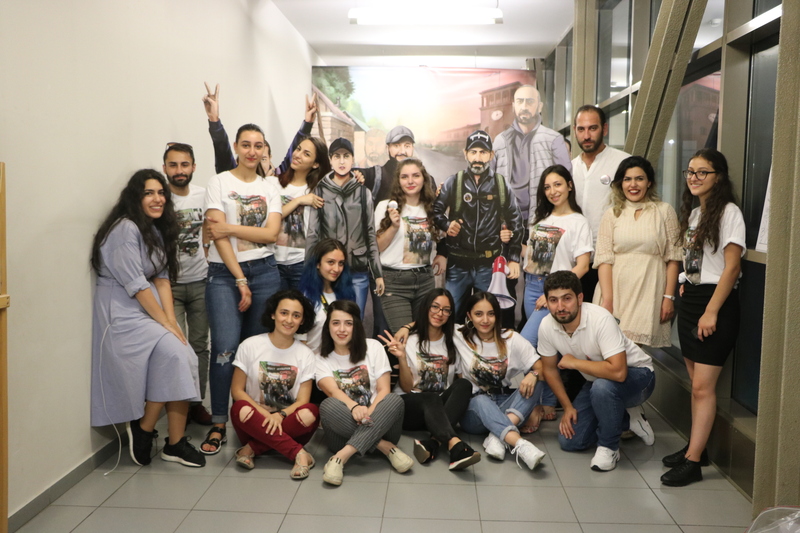 YEREVAN, Armenia – On August 1, the American University of Armenia (AUA) hosted the kick-off of the “The Armenian Velvet Revolution” comic book. The book is an initiative of the Mayro start-up, one of the venture teams emerging from the Entrepreneurship and Product Innovation Center at AUA (EPIC). The book contains a series of comic images and illustrations that portray the political events of April-May 2018 in Armenia. The Mayro team explains that it has aimed at depicting the various stages and unique features of the events through graphic images. “This is a story about peace and people and not about civil defense or regime change. There are a few primary characters in the comic strips, but we, the people, are the main hero,” explains Kristine Aslanyan, a Mayro team member. The authors of the book aim at spreading the story of the Armenian Velvet Revolution worldwide and hope that it will serve as a platform for readers to get inspired to voice their own stories and share their experiences. “At start, there were just two of us who loved comics. Now Mayro is the first Armenian comic book company that launched its crowdfunding campaign on Indiegogo. This is how far the founders’ vision can reach. This is just the start,” remarked Aram Keryan, Operations Manager of EPIC. 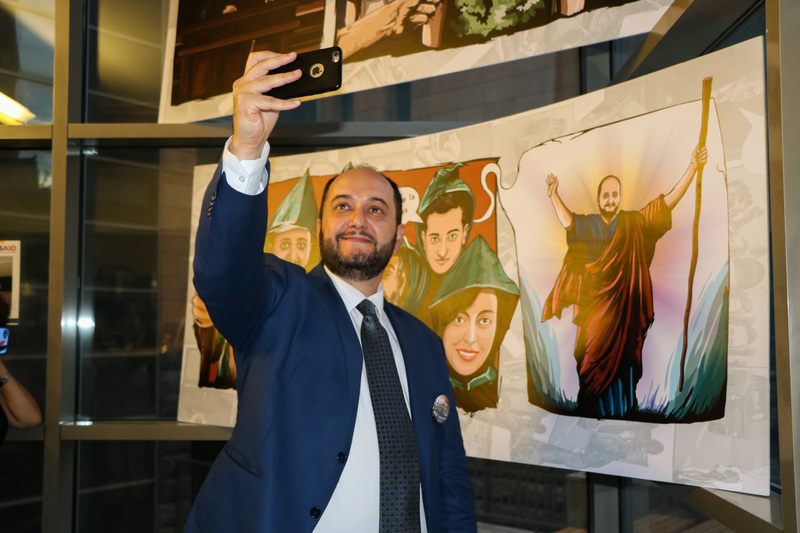 “I am delighted to see that our EPIC team is being innovative in telling the story of a non-violent revolution through art and humor,” commented AUA President Dr. Armen Der Kiureghian. The first part of the book tells about the start of what became the Velvet Revolution, depicting its leaders in the ‘my step’ walking campaign. In the process of creating the comic strips, the team members studied each character, interviewed them and also analyzed episodes that were excluded by the media. 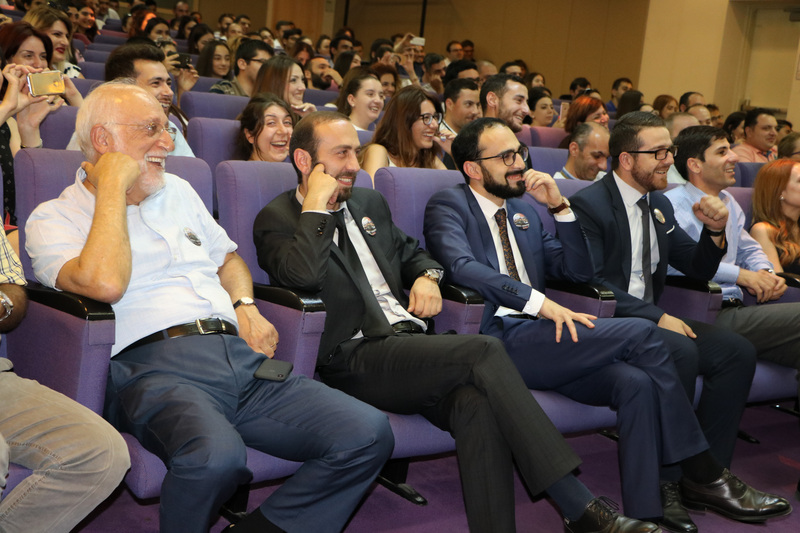 Several members of the new government, including First Deputy Prime Minister Ararat Mirzoyan, Deputy Prime Minister Tigran Avinyan, Minister of Culture Lilit Makunts, Minister of Education and Science Arayik Harutyunyan, were among the guests attending the kick-off. The guests welcomed the Mayro initiative and were delighted to find themselves in the comic images. 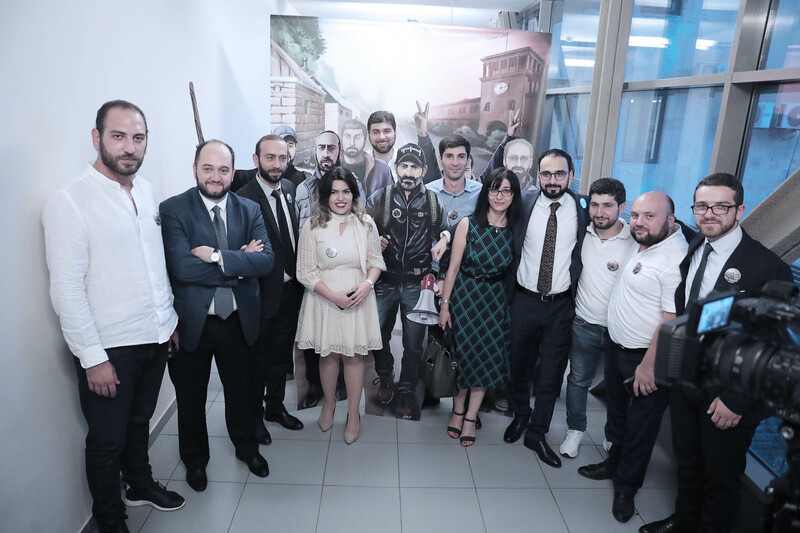 Deputy Prime Ministers Mirzoyan and Avinyan, as well as Minister Harutyunyan, commented about the project and reminisced about the days of the protest and shared memorable moments with the audience. The first part of the comic book is now available at the Indiegogo marketplace, where people can obtain their copies. Here is the link to the Mayro page on the Indiegogo crowdfunding platform.